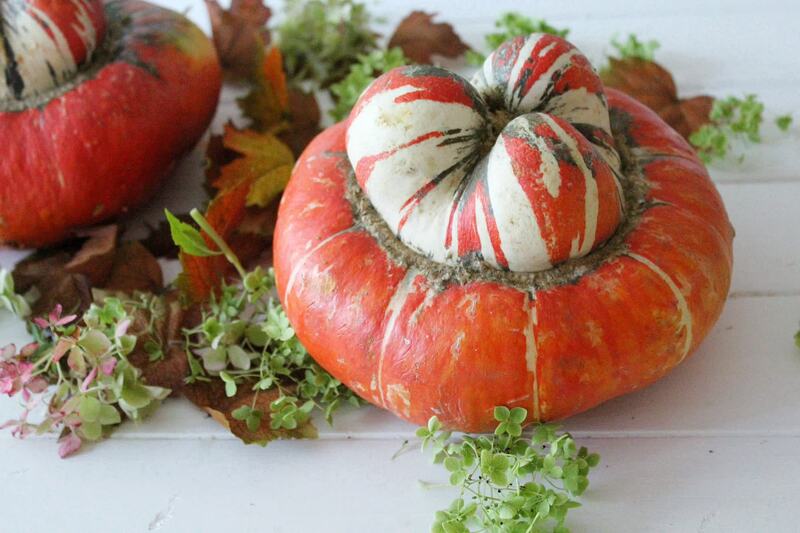 An old time favorite for traditional fall decorating. 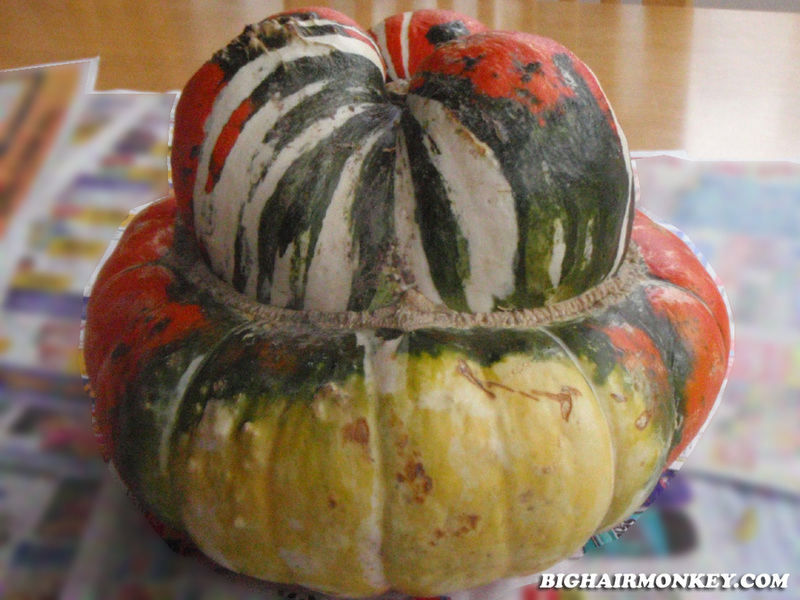 The red color will deepen as the fall progresses. 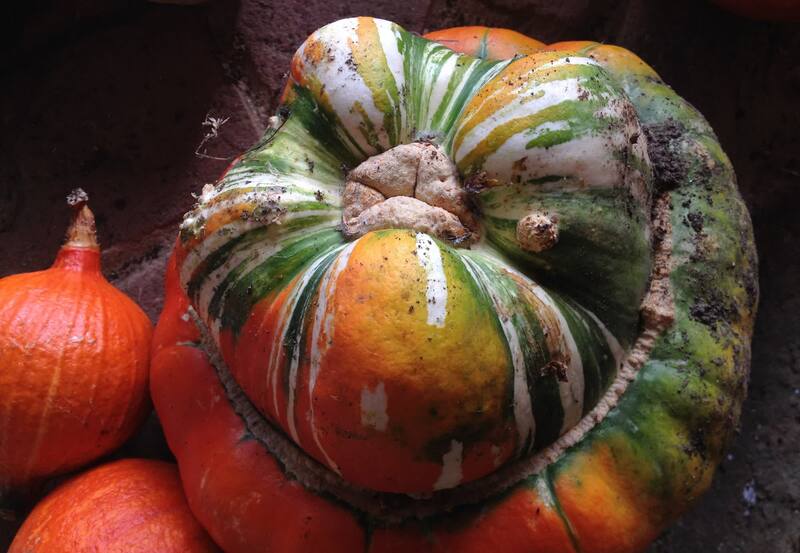 It can be eaten and is terrific stuffed with meat loaf. 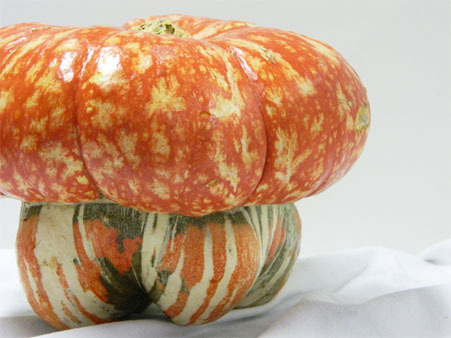 Sadly today it's cooking qualities are overlooked and it is most often used as a decorative gourd. 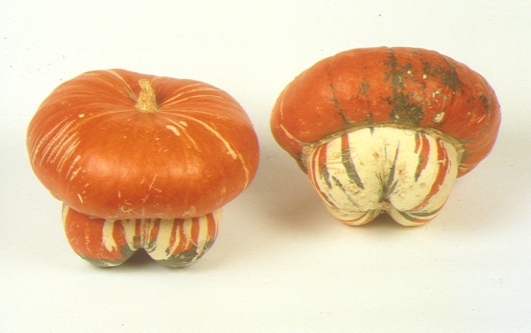 Has fine-textured orange flesh can vary from mild to sweet depending upon variety. 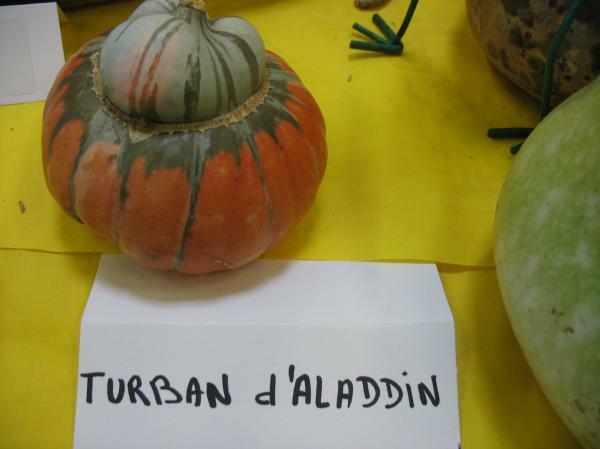 Commonly known types are Turk�s Turban, French Turban, American Turban, and Marina di Chioggia. 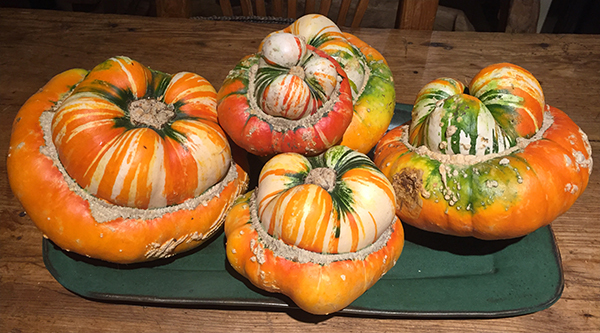 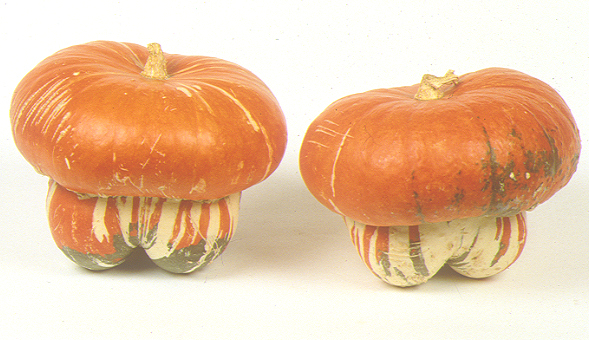 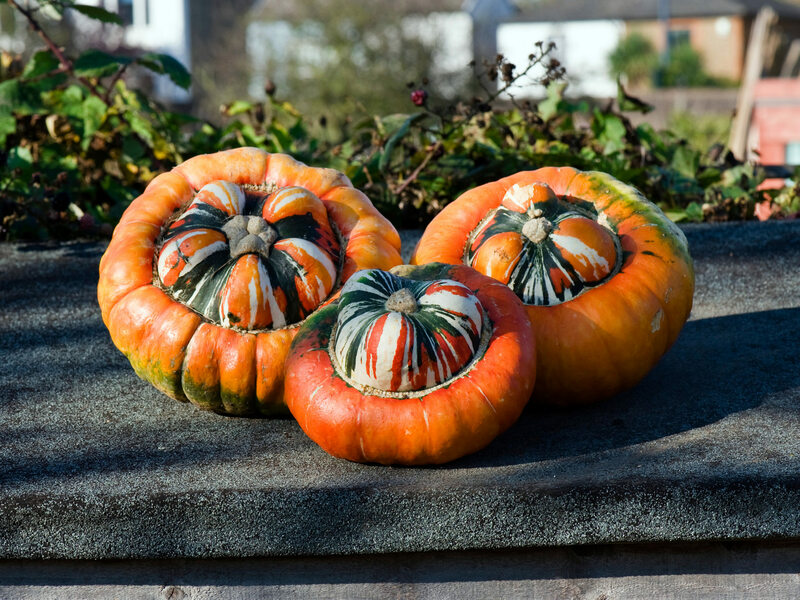 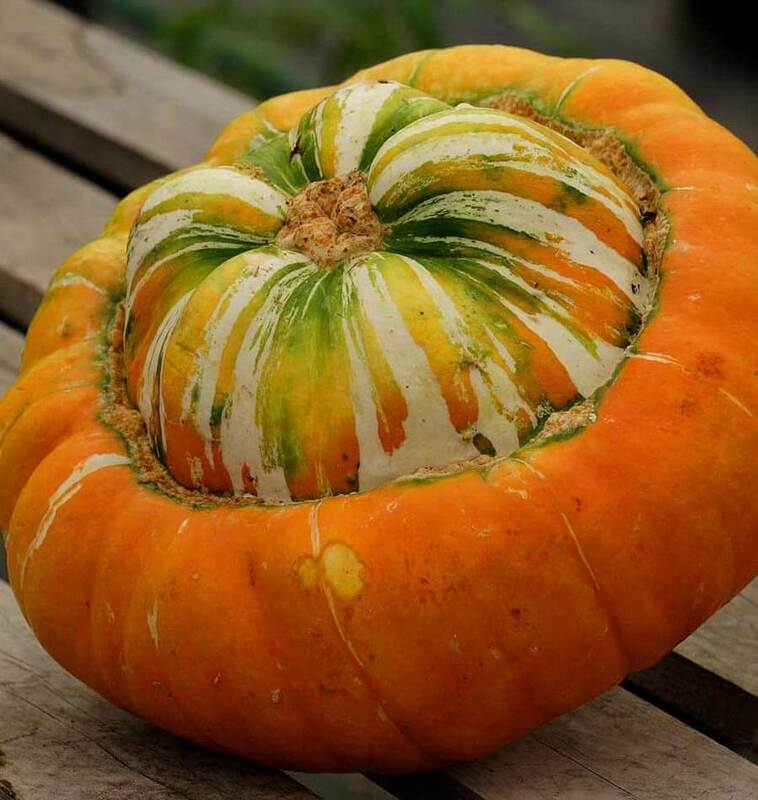 The Turban squash is first mentioned in the 1818 publication of Le Bon Jardinier. 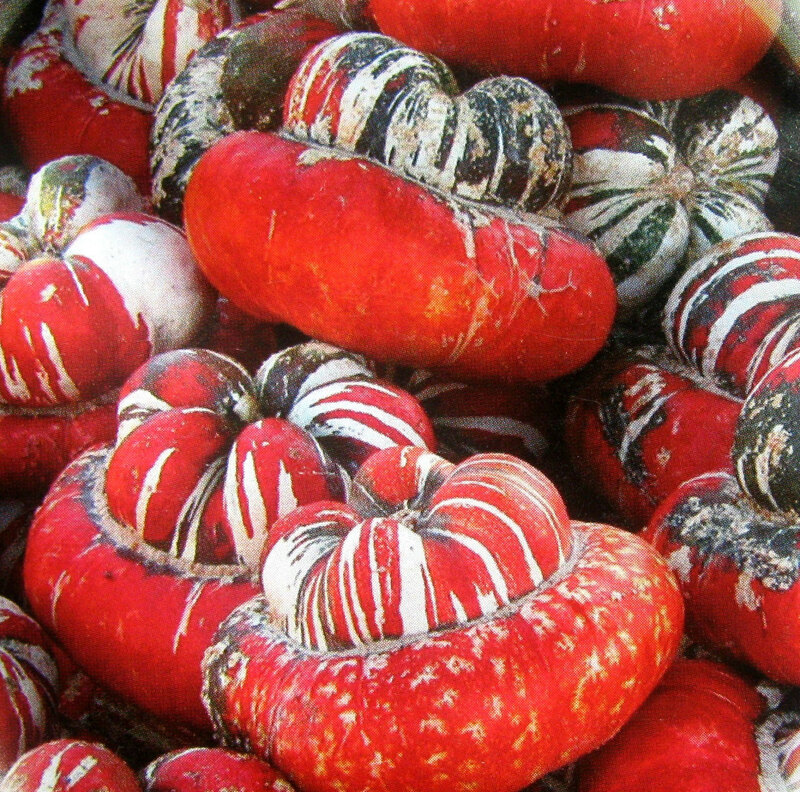 A variety known as the French Turban is said to predate 1820, its flavor was bland and texture watery, so it was predominantly used as an ornamental. 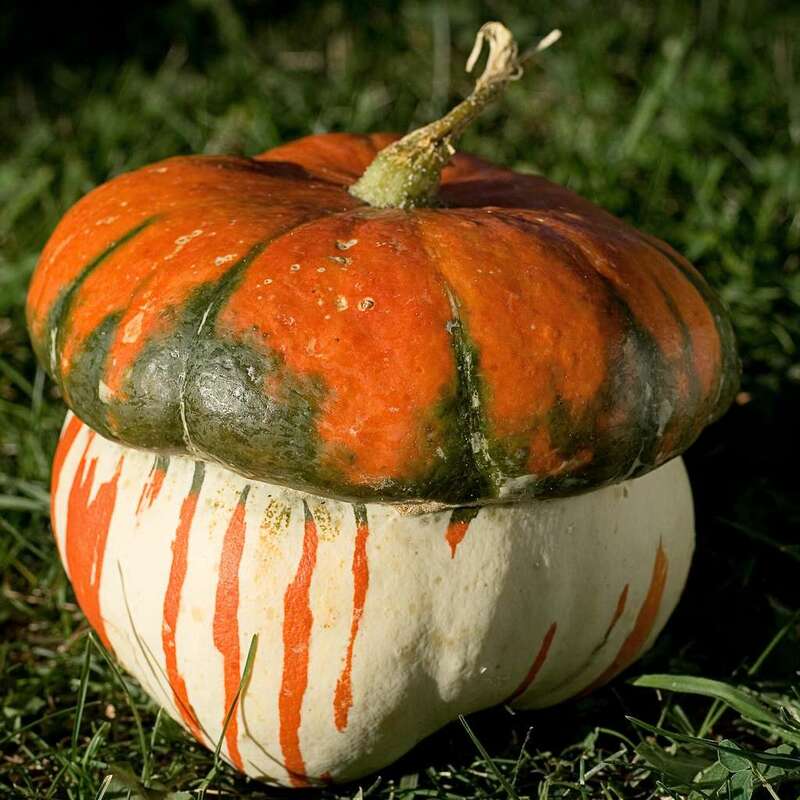 This French Turban, however, would go on to be parent along with the hubbard, acorn, and autumnal marrow to the American Turban which offered a much more desirable flavor and texture. 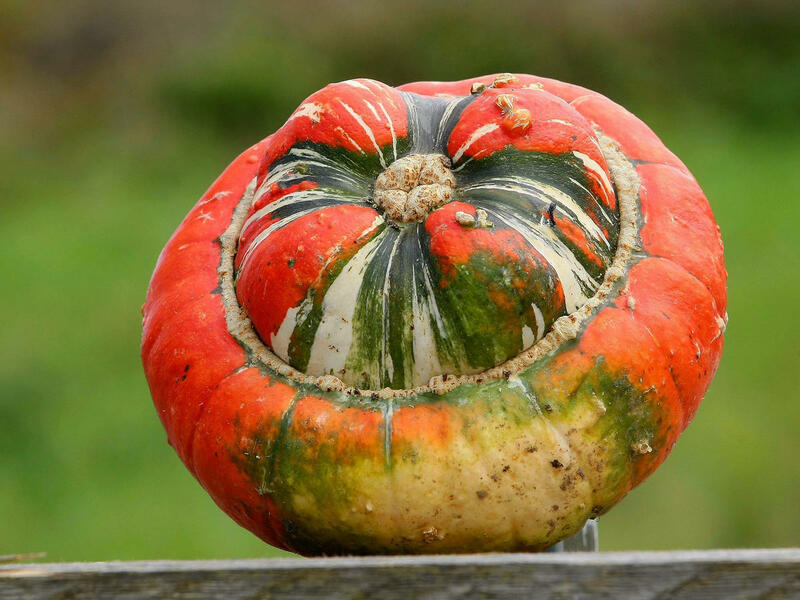 Turban squash grows on vines which can reach eight to ten feet in length. 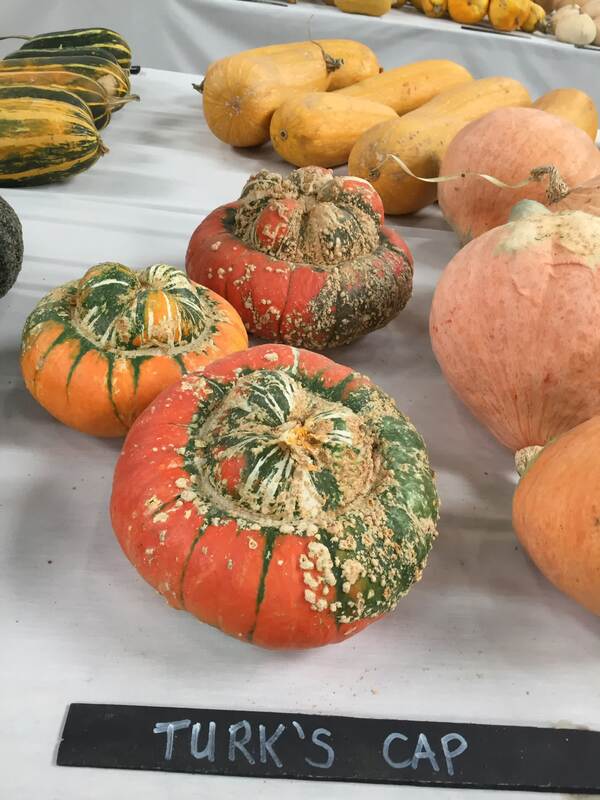 Squash tend to be ready for harvest within 115 days of planting and should be harvested before the first hard frost of the season. 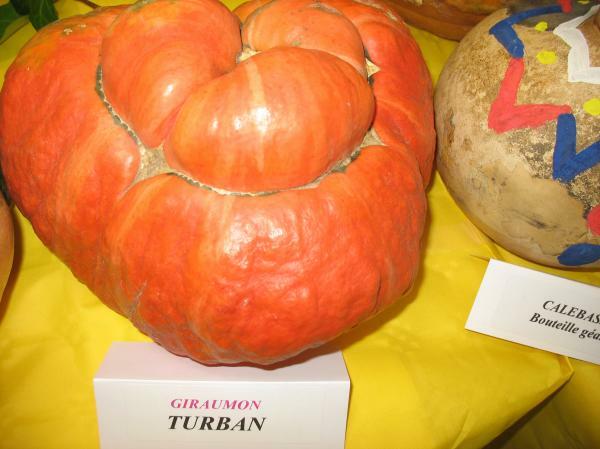 Very old variety mentioned in the book "vegetables" of Vilmorin-Andrieux (1885) and also called "Giraumon Turban".